Last month I had a pleasure to present my current research on laboratories in the humanities during the conference ‘The Making of the Humanities VI’ taking place at the University of Oxford, Humanities Division and Somerville College on September 28-30, 2017. The goal of my presentation, titled ‘The Emergence of Laboratories in the Humanities: Impetus, Implementation, and Impact’ was to trace a history of the humanities labs, covering the impulse and the mechanism of their creation. Below, I have attached my abstract and presentation available also in the section of ‘Projects’. The humanities has made significant conceptual shifts that include fostering strong innovative and collaborative research, employing technologies, and building a bridge between the academy, industry, and community. Above changes mean designing and defining the humanities anew. Creating an academic discipline requires an ‘administrative imagination’; that is to say, we must build a structure aligned with development strategy. Consequently, the humanities has undergone an ‘infrastructure turn’ over the past ten years and launched a new physical place: a laboratory. The emergence of labs in the humanities has been crucial for “redefining the role of the humanities” and “re-configuration of the humanities offered by computational technologies”; however, the proliferation and the fragmentation of labs have led to a state of emergency when it becomes urgent to investigate their significance, objectives, and impact. The goal of the presentation is to analyze three aspects of the humanities labs: its impetus, implementation, and impact. The first part aims to trace a history of the humanities labs, covering the impulse and the mechanism of their creation. This section includes also mapping out laboratories in the humanities established all over the world. The second part presents the complex landscape of the laboratories in the humanities, launched in various ways as a physical research lab, a makerspace, a virtual network, a community project, etc. The last part examines the features of laboratories that significantly reconfigure the humanities seen as an innovative, digital technology-based field, hands-on experimental research, situated practice, engaged in community affairs, and collaborating with local companies. Postdoctoral researcher in the Media Department at Aalto University. 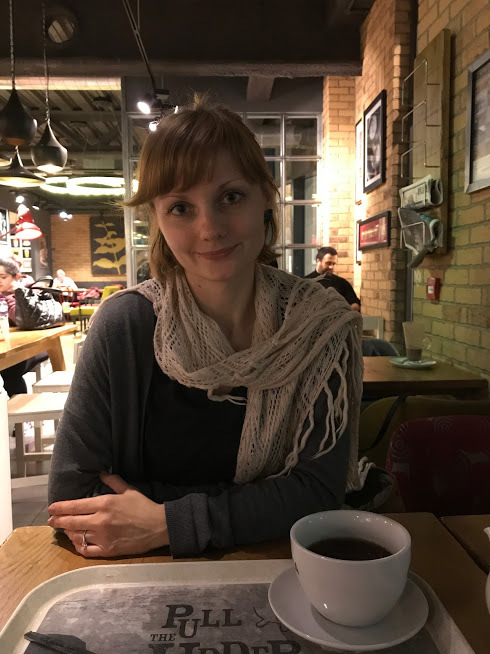 Research interests: digital humanities, electronic literature, digital culture, the science and humanities, critical theories, research infrastructure, open science, open data, etc. CFP: Special Issue for the Digital Humanities Quarterly!